Partial Logistics Solutions Need help with peak times? 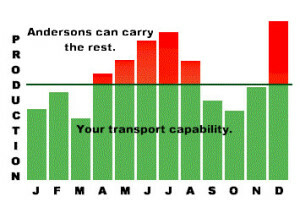 For the partial loads, Andersons Transport Partial Logistics provides a comprehensive, nationwide service with optimally coordinated run times. There are many instances where producers of manufacturers have their own transport fleet, and are capable of delivering their goods at most times of the year. 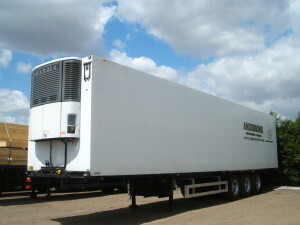 During seasonal periods when demand is high, or production is at a maximum, the transport fleet may be unable to cope with the extra work. It only takes one vehicle to be off the road or a driver unable to work and vital deliveries could be jeopardised at the most important times of the year. That’s where Andersons Transport are able to help. We can transport the extra production and help schedule your deliveries with our partial logistics solutions. This service can be for companies with their own transport fleet, offering a support service. This can also be for those who use more than one contractor we efficiently deal with any quantity of work allocated.